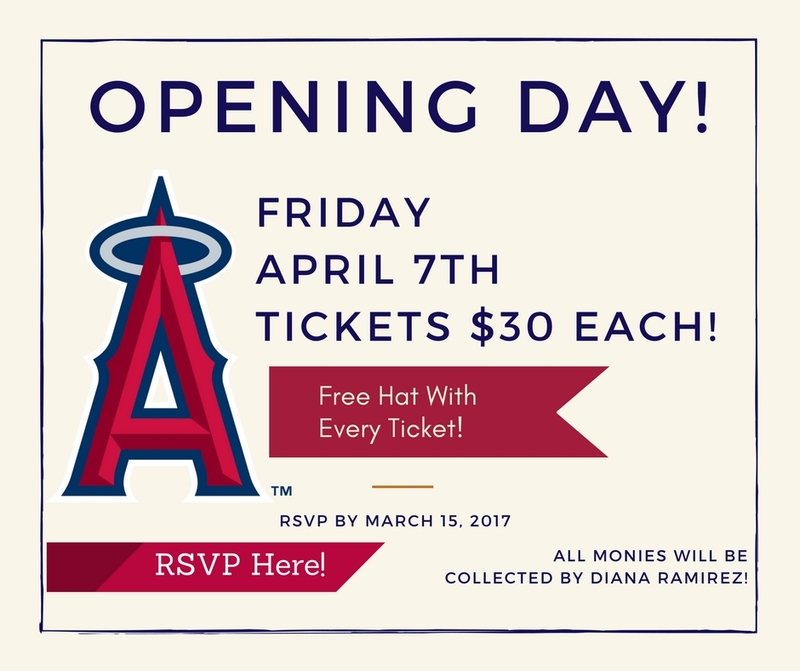 We are headed to Opening Day, on April 7th! It’s gonna be a blast! If you’d like to come along, kindly fill out the RSVP form by clicking the flyer below, and deliver your monies by March 15th. Monies will be collected by Diana Ramirez in the Marketing Support office (located in the back of the Anaheim Showroom, between the closing rooms) between 7 A.M. and 11 A.M. Monday-Friday.